Safety on the job site is imperative and the most prevalent injuries involve the hands. Most pros don’t wear gloves because they don’t properly fit, aren’t designed for the multiple tasks presented each day, or fear they will get in the way of them performing their jobs. 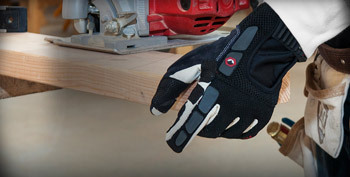 While there have been significant strides in synthetic materials that aim to increase performance, durability and fit, it is not until these qualities are combined in the appropriate proportions that gloves will be widely accepted in the workplace. StoneBreaker is one company that has proven to have accomplished this design trifecta.